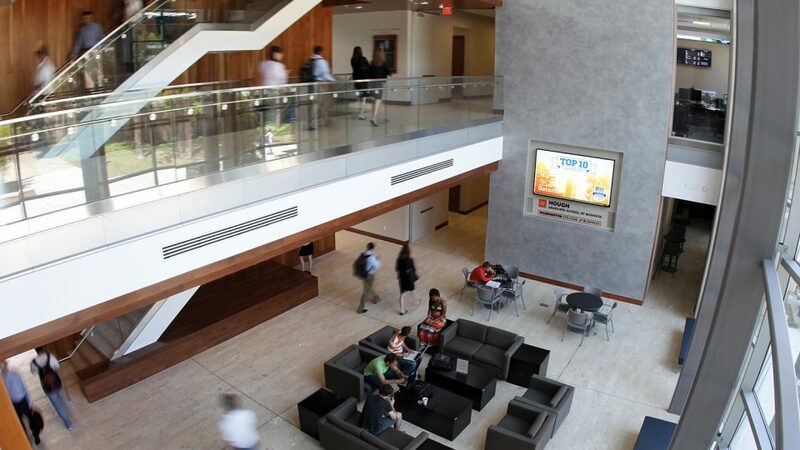 The Hough Graduate School of Business is ranked as one of the nation’s top public graduate business schools. The School’s dedicated students mastering business skills and practices, its talented faculty conducting pioneering research and its state-of-the-art facilities make the Hough experience one that needs to be experienced to be understood. The faculty at the Hough Graduate School of Business has been recognized as one of the best in the world. These scholars are internationally renowned for their innovative research and producing exceptional business leaders who embody the best in ethical leadership and managerial excellence. For your graduate degree to have impact and influence, it must come from a School and University that has a stellar reputation in the academic and business community. The Hough Graduate School of Business and the University of Florida possess such authority. The Hough Graduate School of Business has made a significant investment in our students’ educations with the construction of Hough Hall, a 70,000-square-foot learning space that houses all of the School’s graduate activities. When you arrive in Gainesville for your on-campus sessions, Hough Hall is at your disposal. Equipped with state-of-the-art classrooms, breakout rooms and spacious lounges for studying and networking with students and faculty, Hough Hall provides every conceivable amenity for executive students.